우리는 중국에서 140mm 4 블레이드 Pdc 드릴 비트 제조 업체 및 공급 업체 / 공장 전문화되어 있습니다. 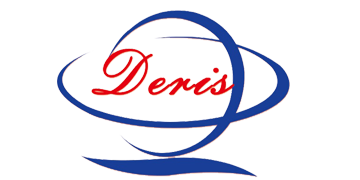 140mm 4 블레이드 Pdc 드릴 비트 중 하나 인 Hejian Deris Petroleum Drilling Equipment Co.,Ltd. 중국 유명 브랜드 중 하나 인 저렴한 가격 / 저렴한 가격으로 고품질의 140mm 4 블레이드 Pdc 드릴 비트 도매업. Wholesale 140mm 4 블레이드 Pdc 드릴 비트 from China, Need to find cheap 140mm 4 블레이드 Pdc 드릴 비트 as low price but leading manufacturers. Just find high-quality brands on 140mm 4 블레이드 Pdc 드릴 비트 produce factory, You can also feedback about what you want, start saving and explore our 140mm 4 블레이드 Pdc 드릴 비트, We'll reply you in fastest.